Written by Carson Ting. Posted on August 17, 2017. Filed under Blogging. Tagged blog, native shoes, ride wild. Bookmark the Permalink. Both comments and trackbacks are currently closed. Big thanks to Native Shoes for featuring me on their site and all the rad free kicks they got for me and my fam! Really grateful to have companies like them supporting local artists like me. 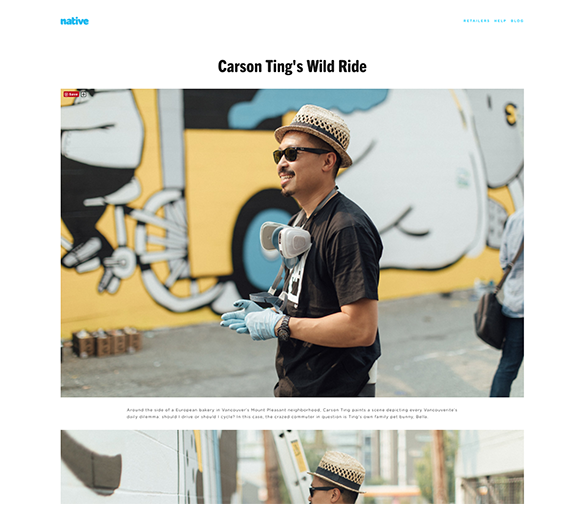 Photos by Jeremy Jude Lee – Check out the interview and story behind my Ride Wild piece for the Vancouver Mural Festival this year. Follow us on Instagram, Twitter and Facebook.